We are delighted to be hosting, along with our friends at the Northwest African American Museum, this evening with one of the most distinguished scholars of U.S. history in our times - albeit with a very different book. 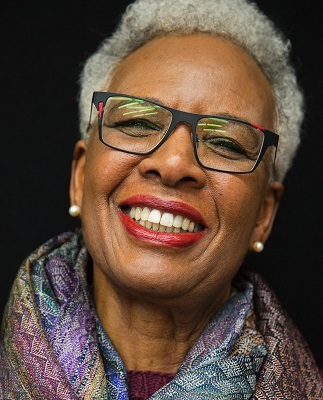 Nell Painter, the Edwards Professor of American History, Emerita at Princeton University, the author of such works as Standing at Armageddon, Sojourner Truth, and The History of White People, took herself back to school upon retirement from teaching. In this case, it was art school at age 64, the whole nine yards of it, MFA and everything. This is beautifully recounted in her new book, Old in Art School: A Memoir of Starting Over (Counterpoint Press). 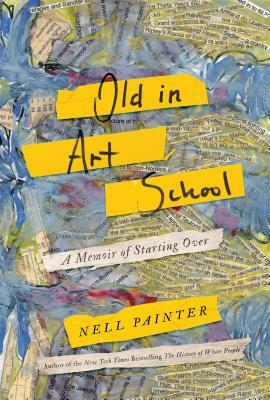 “Nell Painter’s masterful, disarmingly witty, and profound book Old in Art School will change your perspective about what is possible in the full arc of a life. Her probing book about [her] art school journey, as sage as it is humorous, revels in the untold magic of exploring how beginnings can happen at all stages of the journey. This book is indispensable nourishment for the creative soul.” —Sarah Lewis. “Reading Nell Painter’s Old in Art School gave me immense pleasure. Memoirs by black women artists are extremely rare, and this one is so beautifully written, so perfectly formed in terms of its storytelling trajectory, with so many delectable details about art techniques and subject matter, the relationship of the work to her previous projects as a celebrated historian, and her life struggles as the daughter of once-perfect parents, now aged and with health difficulties. Old in Art School seems both definitive and unforgettable. The idea that this brilliant woman would move from a field in which her accomplishments are regarded as superlative to one in which she is constantly plagued by self-doubt and the shortcomings of her ‘twentieth-century eyes’ alone makes it worth the price of admission.” —Michele Wallace. Free admission. Co-presented with the NORTHWEST AFRICAN AMERICAN MUSEUM.